The Bimetallic Question was founded in May 1979 by two Montreal Sherlockians, David Dowse and Wilfrid de Freitas. 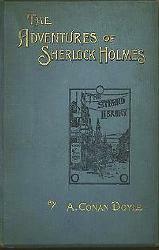 They were each looking for others with whom they could share their interest in Holmes, his biographer Watson, their scribe Sir Arthur Conan Doyle and, generally, all things concerning Victorian England. The new society took its name, The Bimetallic Question, from "The Adventure of the Bruce-Partington Plans", first published in The Strand Magazine of December 1908, and collected in His Last Bow. It was selected on account of the reference to Mycroft's expertise in various areas, including "... the Navy, India, Canada and the bi-metallic question." 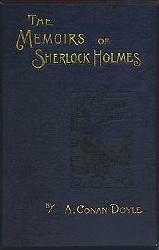 In order to further their purpose of encouraging the reading and enjoyment of the works of Conan Doyle, and specifically his Sherlock Holmes stories, members gather bi-monthly (naturally!) to share their impressions, answer a story-based quiz and socialize. The evenings may include viewing videos, play readings, discussing recent articles, or even comparing the merits of baseball versus cricket, and always includes a goodly number of toasts. The Society has hosted two international Sherlockian colloquia, the first in 1991 and the second in 2001. The motto of the Society (seen on the home page) is Venatio Adest: literally "The hunt is here"; in other words "The Game's Afoot!"